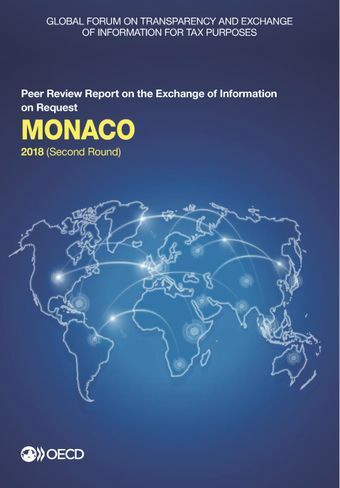 This report contains the 2018 Peer Review Report on the Exchange of Information on Request of Monaco. Monaco has made important progress in the implementation of the international standard, swiftly addressing all the deficiencies previously identified in its legal framework and putting resources in place to ensure proper oversight and the effectiveness of EOI in practice. These efforts have been recognized in this second round report which finds Monaco Compliant overall with the international EOIR standard. The only remaining deficiency relates to its legal framework regarding beneficial ownership information on partnerships and to strengthen its monitoring of certified accountants, statutory auditors and notaries who are in possession of information on the beneficial owners of legal entities and arrangements in Monaco. During the peer review period (1 October 2013 to 30 September 2016), Monaco handled adequately and in a timely manner the request received from both its traditional partner and its new partners. Monaco has dedicated appropriated resources to its exchange of information program and is viewed as a cooperative and efficient partner by its peers.